When you think of online advertising, the chances are pretty good that you’re thinking of paid search advertising. Paid search – also known as pay-per-click advertising, or PPC – is one of the most common and effective types of online advertising. Social networking remains the most popular online pastime for adults all over the world, and advertisers have evolved their strategies to target consumers where they spend their time, namely on social networks such as Facebook and Twitter. Paid social advertising functions similarly to paid search, with the notable exception that advertisers, not users, take the initiative – advertisers must “search” for users, rather than the other way around. of educational attainment, and even specific schools attended. Advertisers can also target users based on the types of pages and profiles they follow, the things they buy, and the news they read. These custom audiences can be created from existing customer data (to create “lookalike” audiences of similar users) to email lists, which Facebook and Twitter can pair with their data about these users to reveal greater insights about their behavior. Read this blog post to learn just how specific advertisers can be when it comes to custom audiences – you may be surprised by how deep you can dig. The rise of so-called “identity marketing” has proven to be the latest – and arguably, the most profound – shift in digital marketing of the past decade, offering advertisers unbelievable opportunities to grow their business. To learn more about Facebook’s targeting options, read this PPC University lesson by WordStream Founder and CTO, Larry Kim. Just as paid search advertisers have to conduct in-depth keyword research before launching their campaigns, paid social advertisers have to know their ideal customers inside and out to ensure that they’re targeting the right audience segments with the right messaging. This is where buyer personas come into play. Creating detailed buyer personas for your ideal customers allows you to go beyond surface-level information about your most loyal customers and delve into targeting options that allow you to target your prospective customers with a high degree of granularity. This not only allows you to maximize the effectiveness of your advertising spend, but also offers more relevant, targeted ads to your audience – recent data shows that people actually appreciate online advertising more when it’s highly targeted and relevant to their interests. There is much more to online advertising than simply placing an ad on the Internet and hoping for the best. The most effective advertising campaigns combine numerous interconnected elements, all of which perform unique functions to maximize the campaign’s potential. Not every online advertising campaign will have every element, but the following components of a digital marketing initiative will be common to many campaigns. Google AdWords and Bing Ads offer advertisers the choice of either text-based ads or more visual advertisements, such as banners. Text-based ads are often referred to simply as PPC ads, whereas banners and similar ad formats are commonly referred to as display ads. In addition, social media platforms such as Facebook offer highly visual advertising formats that include some ad copy, which can be thought of as a combination of both. There are dozens of advertising formats available to today’s advertisers, allowing you to choose the format and advertising network that best suits the needs of your campaigns. An example of a display ad on the Google Display Network. Landing pages are specialized, optimized web pages that visitors are taken to upon clicking an ad. Landing pages can feature specific products featured in the advertisements themselves, or they may include prompts for users to provide the advertiser with more information, such as web forms. Landing pages can be used to convince prospects to complete an action, such as making a purchase, or function as another step in a longer “funnel,” such as requesting additional information or downloading a piece of content for lead generation purposes. To many advertisers, phone calls are the most valuable source of leads. For this reason, advertisers can choose to track phone calls generated from online advertising campaigns. WordStream Advisor, our comprehensive PPC and paid social management platform, offers fully integrated call tracking functionality, allowing you to determine the precise ad and keyword that prompted a prospective customer to call your business. Many advertisers choose to utilize sponsored content as an element of their online advertising campaigns. Sponsored content can take many forms, from advertorial-style editorial content featured on websites (commonly known as native advertising), to sponsored updates on social media platforms. Both Facebook and Twitter offer advertisers this feature, with both platforms boasting a wide range of sponsored update options, such as Facebook’s Promoted Posts and Twitter’s Sponsored Tweets. Advertisers do not simply publish ads to the web and hope for the best – they must know exactly how well their ads are performing, and from where their traffic is coming. This is why analytics is a crucial component of any online advertising strategy. Analytics tools such as those found within WordStream Advisor offer a wealth of information about an advertising campaign, from impression share and click-through rate to cost-per-conversion and trends over time. Analytics tools are also invaluable in determining how consumers discover and ultimately interact with your website, a process known as attribution modeling. Email marketing is one of the most common elements in an online advertising campaign. Some advertisers launch email-only campaigns to highlight time-specific offers or content downloads, whereas others use email to complement their other digital marketing channels. Email marketing can be highly effective, making it a popular choice for today’s advertisers. Consumers rarely discover a website and decide to make a purchase immediately. The customer journey can be lengthy and complex, and take place across multiple devices and websites over prolonged periods of time. For this reason, remarketing has become one of the most important tools in a digital marketer’s toolbox. Remarketing allows you to track users who have visited your website – but failed to convert or take action – once they leave your site, and serve ads to them on other websites. This not only significantly increases brand awareness, but also provides numerous further opportunities for the user to revisit your website and convert at a later time. Remarketing can be enabled on search and display campaigns, as well as social advertising initiatives. Combining the reach of paid search and the granularity of paid social is the most effective way to maximize your return on investment, reach new customers, and grow your business. Need help with your online advertising? 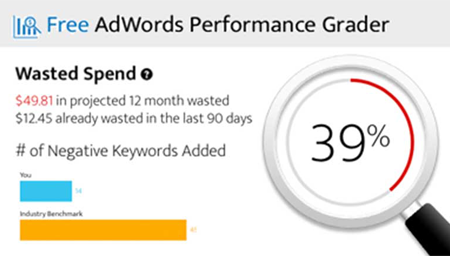 WordStream Advisor makes managing your PPC and paid social campaigns easy, offering users a single centralized dashboard, intelligent and individualized recommendations based on account performance, and a suite of tools designed to help you get the most from your PPC and paid social campaigns. Start your free trial of WordStream Advisor today.